Hi! I`m Maja, a freelance graphic artist and web designer, specializing in brand identity and logo development, with experience in all aspects of design. My designs aspire to tell unique stories about my clients while I strive to invest the highest amount of creative energy and enthusiasm throughout all my projects. Design is my true passion and I look forward to providing you with unique custom made designs in short time. Please feel free to reach out and hire me directly at any time. "Maja is incredibly talented, quick and an excellent communicator! Would recommend 100%"
"She is the best, people. " "Maja was excellent, creative, easy to communicate with and timely!" "Maja is very talented and easy to work with- would highly recommend!" "Maja is incredibly talented and SO easy to work with !" "Excellent experience with Maja once again!" "Wonderful experience with Maja once again! She is immensely talented and a pleasure to work with." "Maja has SUCH an exceptional eye for visual design!!!! She has a firm grasp for classic design mixed with what's currently on-trend." "Maja was wonderful as usual! Great eye for design and a pleasure to work with." "Amazing work, as always. Highly recommend. " "Maja was wonderful! She has an exceptional eye for design and her communication is great." "Maja was a pleasure to work with, as usual!" "Excellent process with Maja once again!" "Amazing work. As always. " 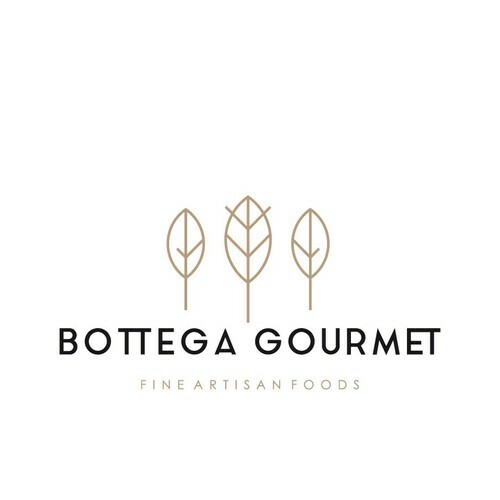 "Maja did a fantastic job with our logo type and logo mark! We love everything she does and look forward to more projects!" "Maja is a great designer. He listens and executes designs keeping a broad perspective of your brand and where it can go in mind. I will recommend him to anyone. " "Maja did a fantastic job with our logo and brand design. We look forward to working with her on future projects!" "Maja pays excellent attention to detail. Much appreciated!!" "Wonderful work by maja and team"
"Beautiful design and great service. Thank you!" "Maja does excellent and timely work!" "Maja was a pleasure to work with and provided everything that I asked for, plus some! Thank you again, Maja!" "My designer was amazing! They continued to listen through the process and made edits and tweaks that aligned with my style. They provided a lot of options and ideas to make the entire design stronger. I really liked working with the designer, as they w..."
"Maja does excellent work and puts a lot of care into her designs"
"Maja was great. Very professional, talented and accommodating. " "MM Graphics did an amazing job. She was very professional and responsive. She went above and beyond our logo design objectives and created multiple ideas for our selection. MM is very detail oriented and was crucial in creating our brand identity." "Thank you for bringing our brand vision to life. " "As always, Maja goes above and beyond and delivered an outstanding final product! I highly recommend working with Maja. " "Maja is absolutely amazing! She is creative, kind, and patient. She is willing to go above and beyond in order for you to achieve your vision for logo. I would highly recommend her!" "Maja was wonderful to work with. She was extremely creative, responsive and most importantly really took the time to understand our needs before beginning the design process. We will use her again. HIGHLY HIGHLY RECOMMENDED!!!" "Maja is an absolute professional, super creative and takes direction/criticism well. Maja is happy to offer personal advice to when asked and we couldn't be happier with the final designs. Maja went above and beyond the scope of the project and the file..."
"She is very professional, fast and reliable. I was falling in love with her design at first sight. " "Excellent attention to details and great communication. Can't go wrong with this creative artist. 5 Stars!" "MM designs does an excellent job with projects. Highly recommend! " "MM Graphics is one of the best designers I've come across on 99 designs and in general. I've worked with many designers before and MM Graphics impressed me on every level. Timeliness, professional caliber, and ultimately pure talent in design. I would a..."
"Maja did beautiful work as always!! She makes my brand look amazing!" "Maja did a beautiful job recreating my brochure!" "Maja is brilliant as usual!! " "Maja is amazing and one of the most talented designers I've ever worked with! She goes above and beyond for her clients on every project and we highly recommend working with her. " "So pleased with the outcome of the GIDDI branding. Maja is extremely talented and consistently delivers the highest quality work. She is also such a pleasure to work with. " "Once again, Maja delivers amazing work. She is such a pleasure to work with. " "We liked Maja's logo designs for our new company, so we continued working with her on branding for stationery and social media. Maja is responsive and thoughtful in her work. We've enjoyed the process and highly recommend working with her. " "Thank you very much for the great design"
"Maja is wonderful to work with and is quick to respond. Her design work is clean and refined. She immediately understood the logo concept we had in mind. We highly recommend Maja. " "I love the creativity from designers. To make it better, I would try not to be too excited next time, :)"
"Great job Maja! As usual!!" "Maja is becoming a milestone in our creativity process, and I am the first one to celebrate that, than you very very much. Merry Christmas and a very happy 2017"
"I was looking for a design that incorporated passion and perseverance. I had no clue what I thought I wanted other than my name in the logo Maja was able to take my idea and create something that really incorporated everything. I also received responses..."
"Maja was absolutely wonderful to work with! Beautiful art and very professional through the whole process. I will definitely work with her again!" "Fantastic concept and Maja was happy to help wherever she could. Loved my design and would definitely work with her again in the future x"
"100% talent and professionalism combined. Very pleased with Maja's work, thank you"
"5 stars are not enough !! We need to add an option on 99d to add one more star when a job is executed at this level of professionalism. Maja exceeded vastly any kind of expectations. Not only she is very creative, but she is an excellent listener and un..."
"Loved the logo you designed and appreciated the alternate designs you sent after I chose this one. It confirmed that I made the right choice." "She's amazing! My favorite designer to work with. Professional & efficient! Can't wait to work with her again. " "Amazing job!!! Perfect design and outstanding communication! " "Maja did an Amaaazing job for this challenging project! The designer's patience, professionalism, efforts, and great skills made this project work! I am extremely satisfied with Maja's work and will definitely come back to Maja for another 1-to-1 future..."
"Maja is the most talented, professional, and hard working designer we have ever worked with. She has an unparalleled understanding of design and branding, especially as it related to fashion. We will work with Maja on all future projects, no need to run..."
"A joy to work with! Goes above & beyond for his clients! Listens to what is needed and is prompt. I will be using him again very soon! " "Great sense, fast responses and always welcoming for feedback and changes. Thank you Maja for being an awesome to work with :)"
"I hope that you have the privilege of working with mm graphics. It was a pleasure to work with them from start to finish. Maja was always very professional, friendly and helpful in answering questions. I love my logo and label designs, and so does every..."
"Excellent job - fast, patient and creative!" "She was wonderful to work with! Understood my style, was happy to make revisions, very detailed, and cared about the project. Thank you!" "Had a great experience working with mm graphics and will continue to use mm graphics in the future!" "Maja did a superb job and is a pleasure to work with!" "I selected Maja's design for my logo, and this is follow-up project to create my business card. She provided several design options, and was very responsive with edits and file delivery. I plan on using Maja again for any future projects, and recommend ..."
"I am delighted with my designs from mm graphics and with my experience of the process! Maja is responsive, patient, personable, generous with her time, very willing to try new ideas, explains which of my ideas may work or may not work and why, and has ..."
"MM graphics has been a joy to work with. I am so happy with the outcome and will use MM graphics for other projects down the line." 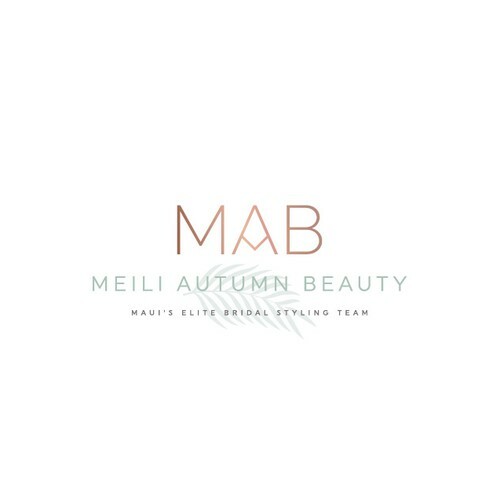 "Maja was fantastic to work with, and provided a very creative and clean logo. She understood my vision, and was very quick to make the minor changes I requested. I highly recommend Maja and will her again should I have future needs." "Very responsive to feedback, quick turn around on edits. I really enjoyed working with this designer and felt like they went above and beyond to ensure I was happy with the final product." "mm graphics was fantastic to work with. She took note of all of our feedback and amended our designs accordingly. She always responded to us quickly. Her designs skills and ideas are fresh, modern and effective. Will definitely work with mm graphics again"
"MM Graphics was an inspirational and very attentive designer. It was a pleasure to work together. Much gratitude!"